Wedding planning process is far from being easy. It consists of numerous aspects, which are both time and energy consuming. Moreover, a rare bride could avoid getting through the stress during wedding organizing. So, it is necessary to allocate some time for yourself before the big day takes place in order to relax from pre-wedding fuss. This will guarantee you a fresh and beautiful look when you will be walking down the aisle. We prepared the five effective ways to coddle yourself before the wedding takes place. 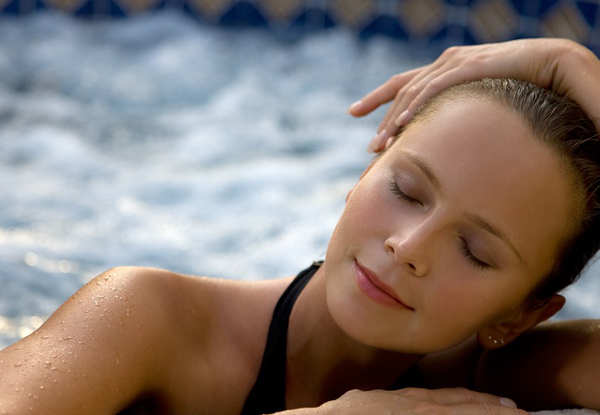 The mineral bath is a sure way to refresh and relax both the body and mind. After the bathing procedure you will get the soft skin and clear mind. The effective way to pamper your body is massage. There are many types of massages such as deep tissue massage, Swedish and Hot Stone massages, which guarantee the muscles relaxing. Appoint the cosmetologist visit couple weeks before the wedding day in order to avoid unneeded breakouts. Discuss with the facial specialist your skin type, problems you would like to solve and results you would like to get. The skilled cosmetologist will be able to make your skin look glowing and healthy on your big day. Manicure and pedicure are the inalienable part of bridal look. Thus visit the manicure cabinet couple days before the wedding. There is nothing worse than observing the stunning engagement ring on the finger with bitten nails. If you still cannot fit into your wedding gown, consider body wrapping that guarantees you loosing from 6 to 30 inches per hour. European body wrapping procedure is having your body covered with bandages saturated with herbal solution. Thus the herbs easily penetrate into your skin through pores and release your body from toxins and make it toned. The body wrapping also helps to get rid of the cellulite and stretch marks.